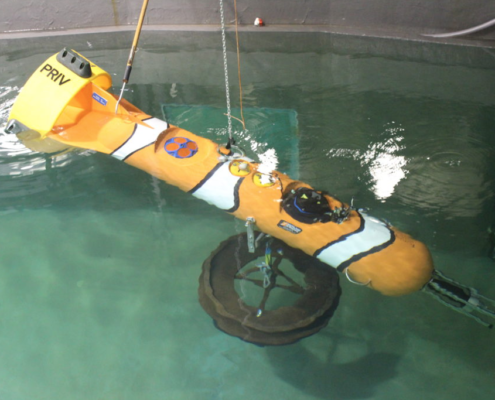 Since 2012, Rockland has been providing the tidal energy industries of Scotland and Nova Scotia, Canada with measurement solutions to quantify and understand turbulent flow in tidal channels. This information informs detailed site characterization studies and load impact analysis for tidal energy converters. 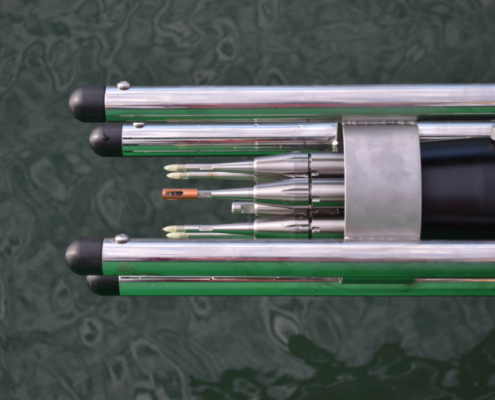 The Nemo Turbulence Mooring, developed in collaboration with Dalhousie University’s Ocean Acoustics Lab, is designed to capture turbulence microstructure measurements in high flow environments, e.g. a tidal channel. Nemo is a streamlined buoy made from syntactic foam. A passive fin and yoke design maximize stability and mean flow orientation of Nemo across an extreme range of current speeds. 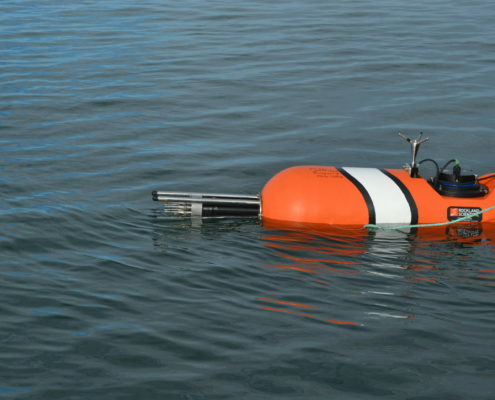 Instrumented Nemo Turbulence Moorings have been deployed in multiple tidal turbulence research projects in flow speeds up to 5m/s at a depth aperture of planned tidal turbines. The continuous time-series measurements from the Nemo provide researchers with the evolution of full spectrum turbulence characteristics across a complete lunar cycle. 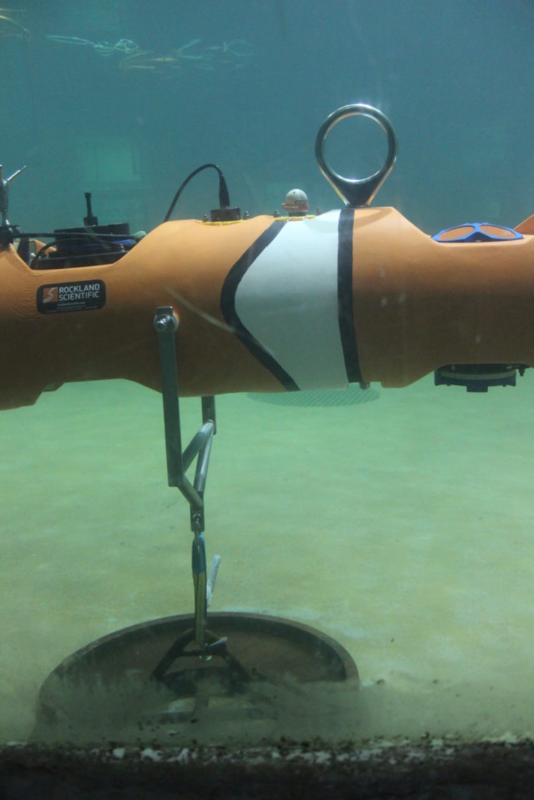 The Nemo Turbulence Mooring is fitted with a nose mounted MicroRider 1000, which measures microstructure turbulence. 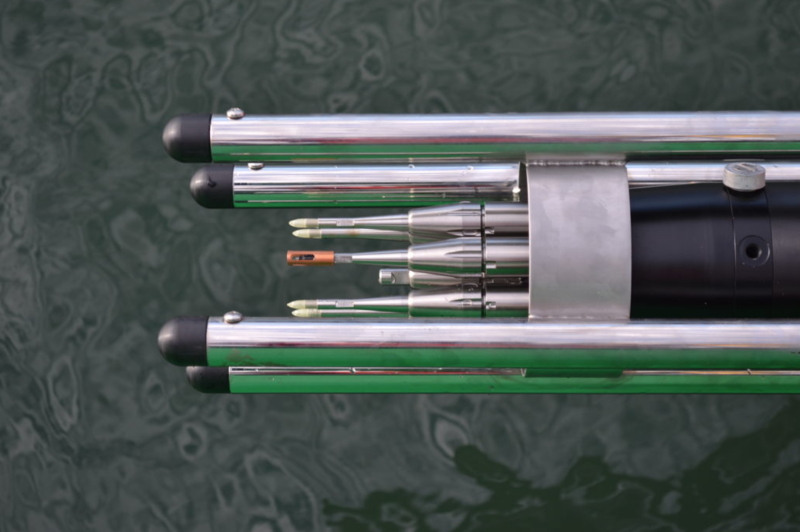 The aft cavity contains an Acoustic Doppler Current Profiler (ADCP) to provide a mean water flow profile of the water column and lower resolution, larger length scale, turbulence data. 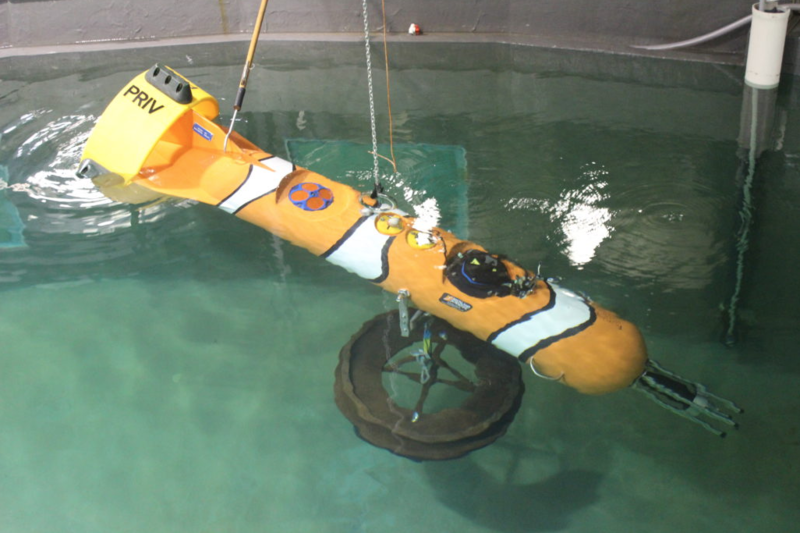 The ADCP can be positioned either upward or downward facing. An Acoustic Doppler Velocimeter (ADV) provides point measurements of the flow, U, used for lower-resolution comparative turbulence measurements in the inertial subrange. A battery in the forward cavity provides power for at least 14 days of continuous measurements. 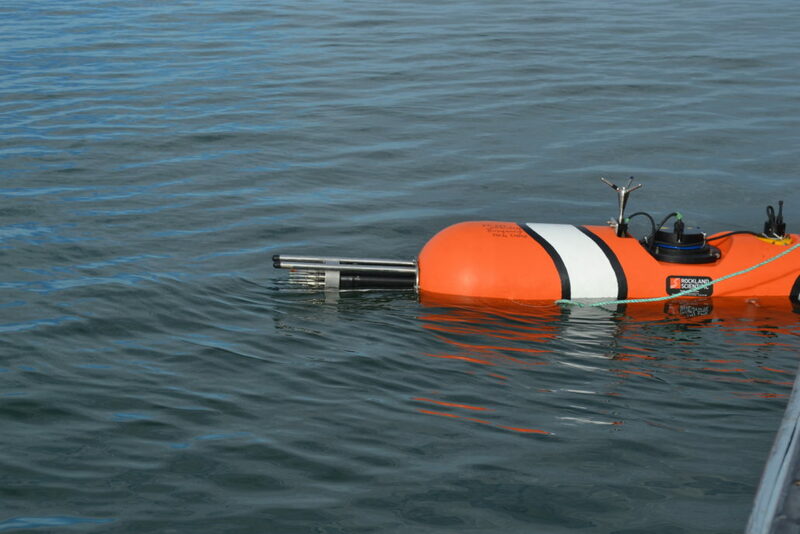 Nemo Turbulence Mooring immediately before deployment in the Bay of Fundy, Nova Scotia, August 2016. 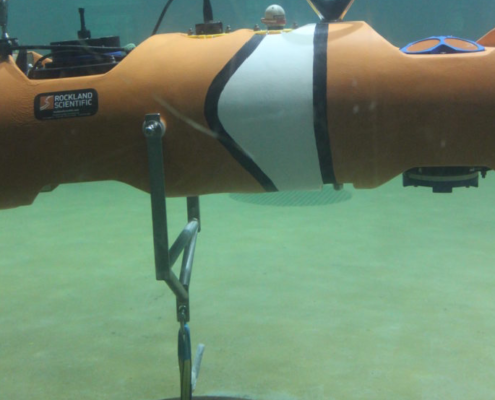 The Nemo Turbulence Mooring and other turbulence measurement solutions are available for sale or lease through Rockland Scientific worldwide, and in the United Kingdom through field service partner Partrac Ltd.